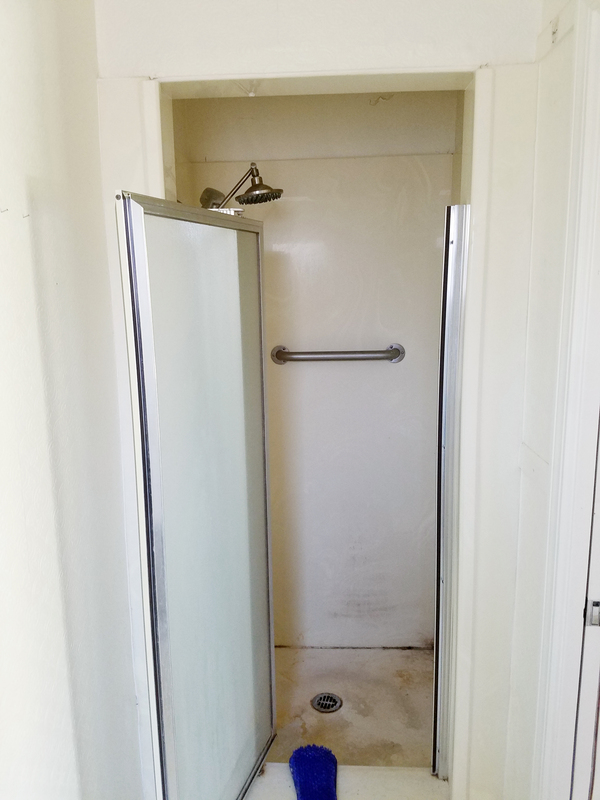 We were thrilled to remodel this dark, cave-like shower compartment for our client. Not only did we open up the walls to allow the natural light into the shower space, but we also moved the center drain to a side strip drain. 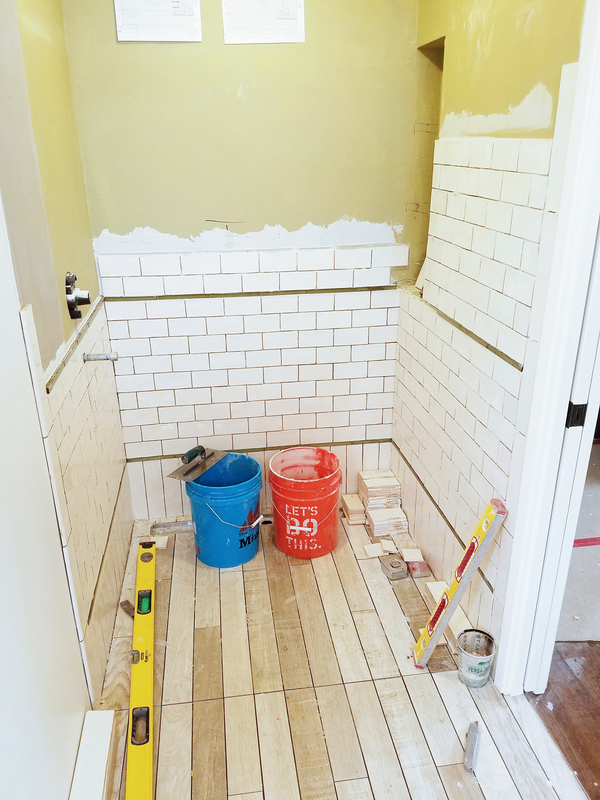 Notice the simple glass liner setting the tone for the 3×6 subway tile pattern. 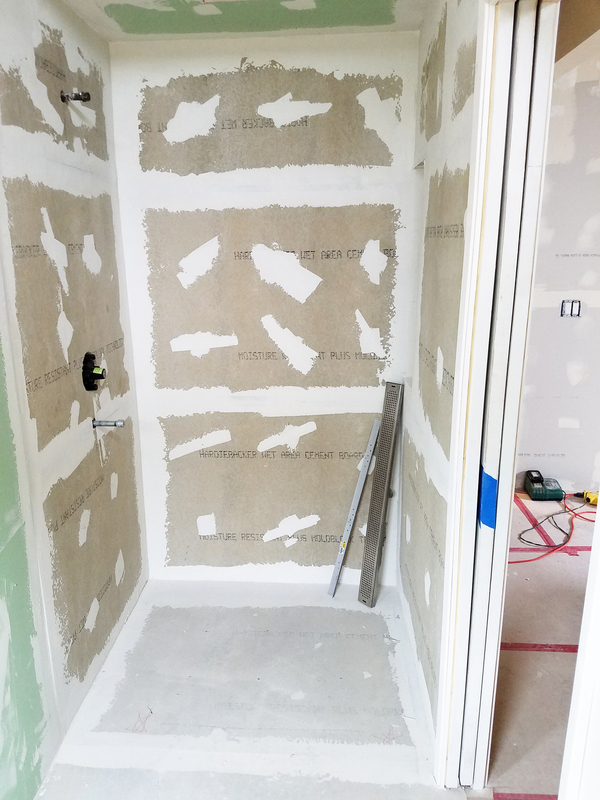 Creating an illusion of a large shower stall area, we provided a barrier free walk in shower. No dam to step over. 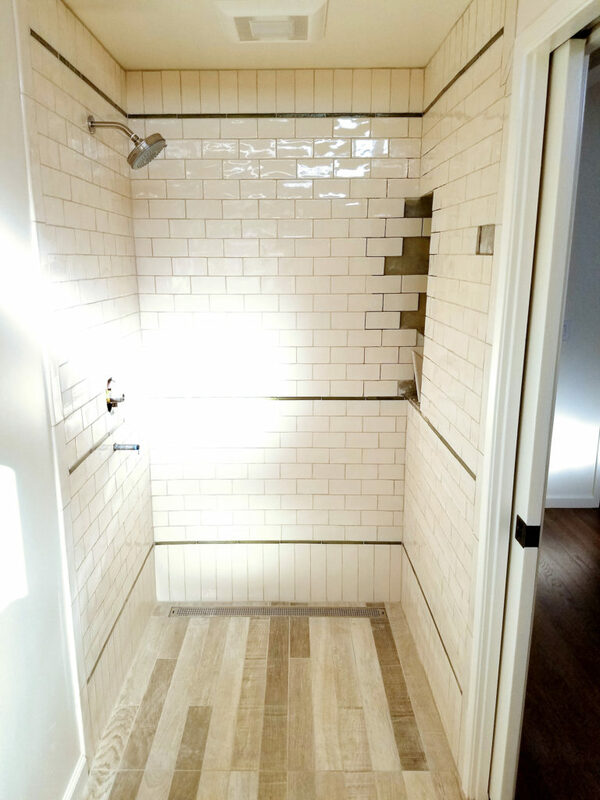 By using the same linear porcelain tile for the bathroom floor and the shower flooring, makes the room appear larger. Final photos with the frameless shower door will follow.